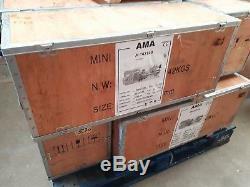 The Amadeal AMA714B 7x14 Mini-lathe - Top Spec - Lowest Price. 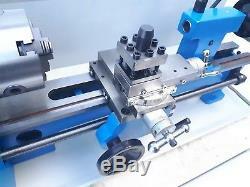 The Amadeal Mini Lathe - 7x14 Machine with DRO & 4 Chuck NOW WITH. Top Spec - Lowest Price. 100mm (4) CHUCK FITTED AS STANDARD - 100mm SPINDLE PLATE - NO ADAPTER PLATE NEEDED. 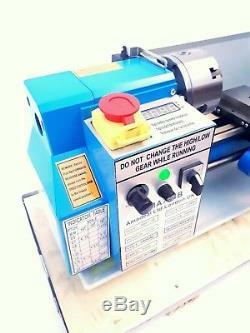 A GENUINE BARGAIN PRICE With 4inch Spindle Plate as standard with 4inch (100mm) 3-jaw self-centering Chuck. 350mm Between Centres 500W Moto r Digital Readout of the spindle speed Tailstock lever lock. 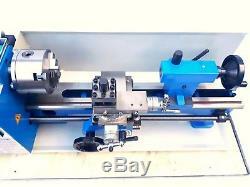 We have a range of accessories to go with this lathe at discount prices. Swing Over Cross Slide: 110mm. Spindle Speed: 50 - 2500rpm. 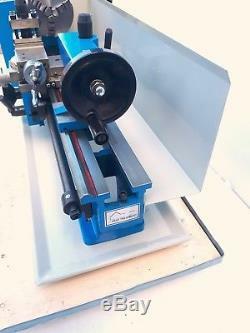 Chuck diameter 100mm (Integral spindle plate is 100mm and can take 3 or 4 jaw chucks - no adapter plate required). Range of Metric Threads: 0.5 - 2.5mm. Range of Imperial Threads: 12 - 52 TPI. Includes dead centre, set of external jaws, tray, rear splash guard, set of hex keys, spanner, oil can. 240V (plugs into UK domestic ring main). Should be treated as a guide as there can sometimes be a small variance from the quoted details. Postal costs to customers in Italy will also be liable to a surcharge for items sent by post to cover the cost of'International Signed For'. 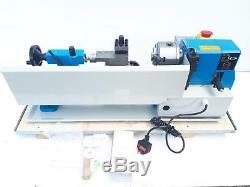 The item "Amadeal Mini Lathe 7x14 Machine with DRO & 4 Chuck BRUSHLESS MOTOR" is in sale since Thursday, October 11, 2018.